“The President is inciting violence against a sitting Congresswoman — and an entire group of Americans based on their religion. It’s disgusting. It’s shameful. And any elected leader who refuses to condemn it shares responsibility for it,” tweeted Sen. Elizabeth Warren (D-MA) on the evening of April 12. “The President is actively and willfully endangering the life of a member of Congress,” tweeted MSNBC host Chris Hayes, echoing Sen. Warren. 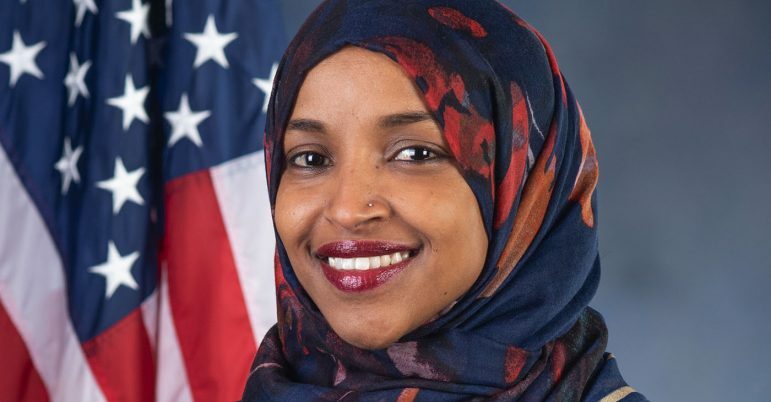 The communications came hours after President Trump tweeted a video of a misleading montage that began with Rep. Ilhan Omar (D-MN) and included footage from the terrorist attacks on September 11, 2001. Trump’s Twitter communication came on the evening of April 12 with the words “we will not forget” in all capital letters, days after the conservative New York Post ran a front cover targeting Rep. Omar. The attacks from the right on the freshman congresswoman and new Congressional Black Caucus member have been continuous. Rep. Omar is one of three vocal members of Congress who continue to win national media attention. The other two are women of color as well: Rep. Alexandria Ocasio-Cortez (D-NY) and Rep. Rashida Tlaib (D-MI). Lauren Victoria Burke is an independent journalist and writer for NNPA as well as a political analyst and strategist as Principal of Win Digital Media LLC. She may be contacted at LBurke007@gmail.com and on Twitter at @LVBurke.